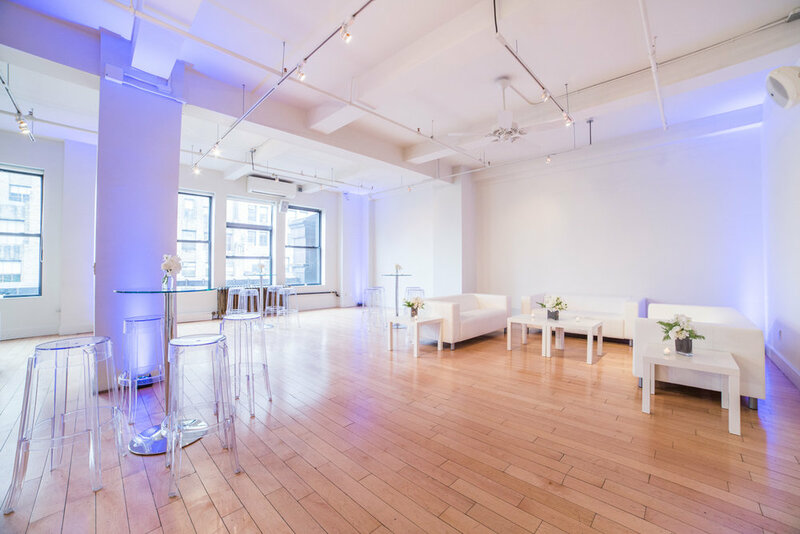 Studio Arte is a 6,500 Sq. 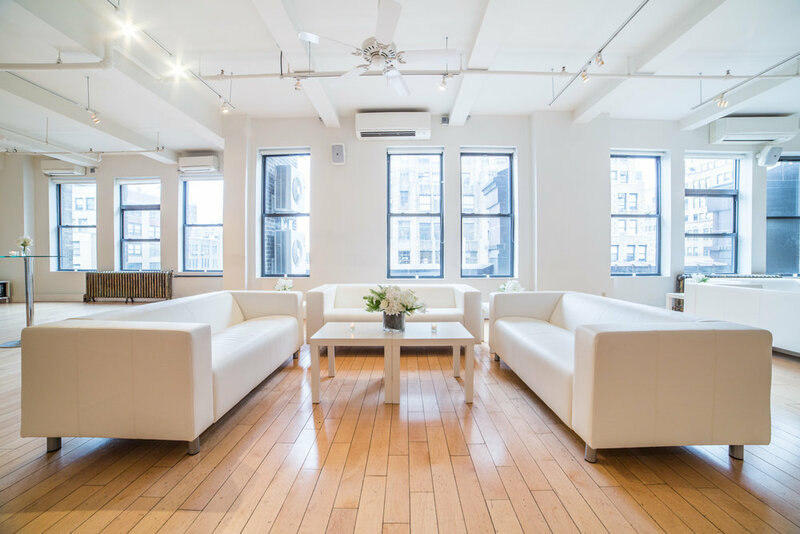 Ft. all-purpose white loft space located in the Garment District steps from Port Authority and Penn Station. 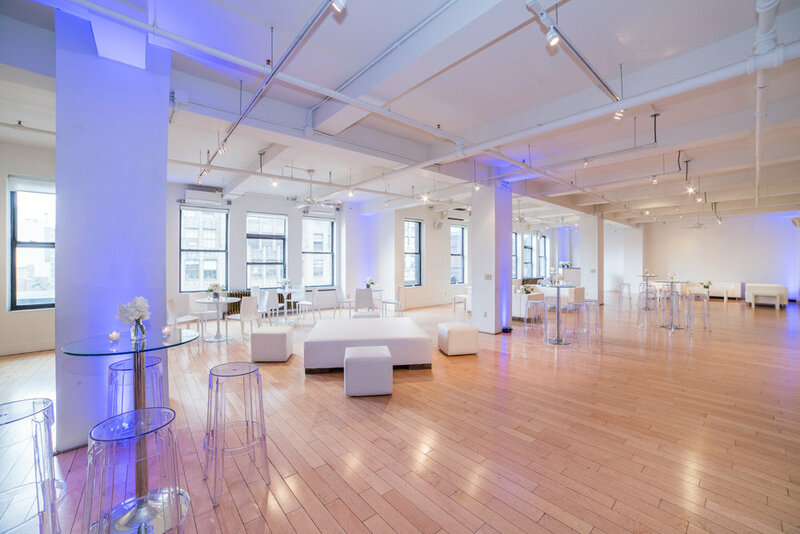 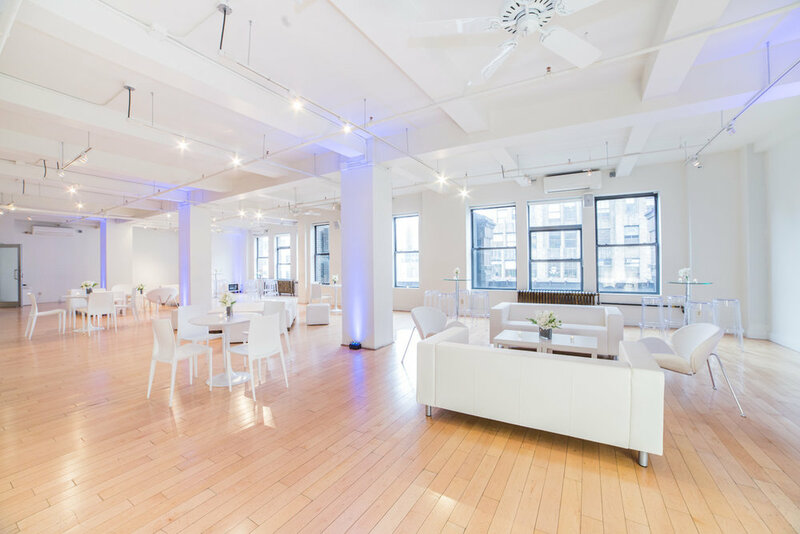 The venue features hardwood floors and windows offering beautiful natural daylight with an elegant night view. 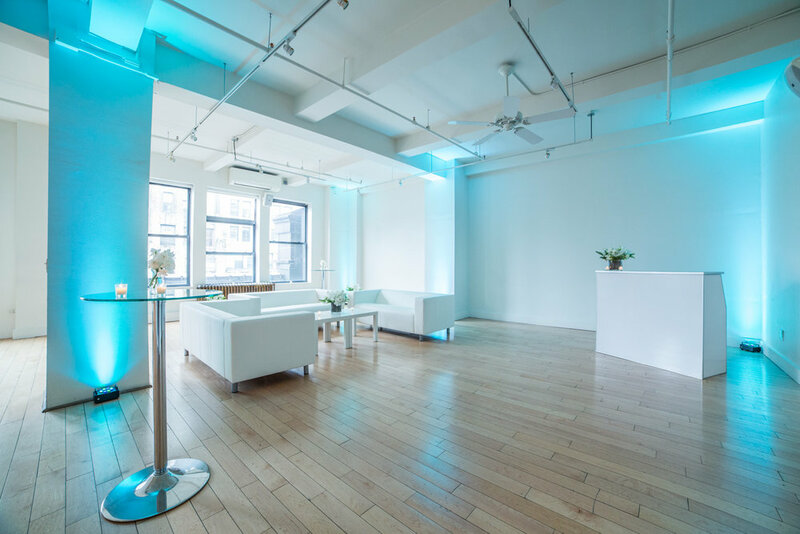 The facility includes access to a private entranceway, restrooms, prep kitchen & storage and includes extensive in-house amenities such as WiFi, lounge furnishings & A/V rentals. 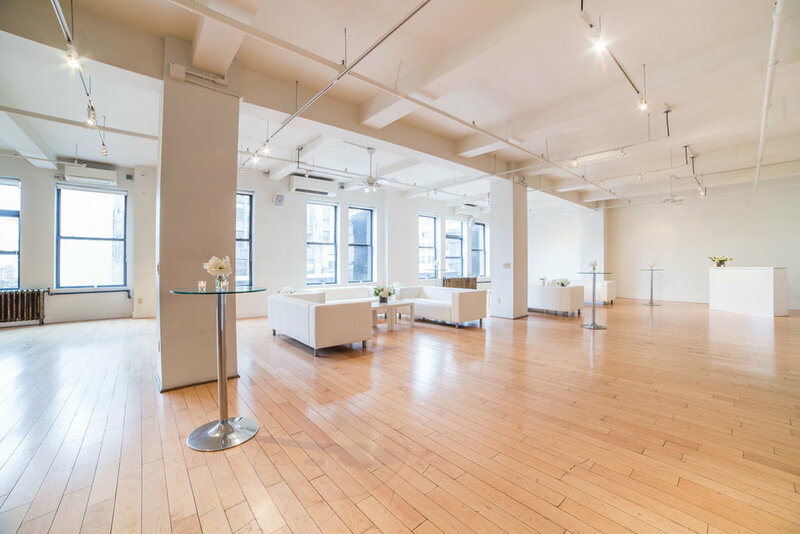 The facility is comprised of Arte West & Arte East, which can be rented separately or congruently.